Controls for this fire are under the canopy, no remote control unfortunately. Does this fire have 2 heat settings? That is correct; 1.7m of flex with plug attached. Is the black surround plastic and the silver effect metal? Hi, Yes it is plastic with metal effect. I was really pleased With the fire it looks much better in real life and the delivery was really quick I would order from Gr8 fires again and I would recommend them to others. I ordered my new fire online on the Sunday afternoon and then received notification that delivery would be on the Wednesday and a timescale was also given. My fire arrived on the Wednesday and within the timescale. I have had compliments on it from visitors over the Christmas period. Very happy with the fire, price and customer service from G8 Fires would definitely recommend to family and friends. Ordered this fire as it was cheaper than other stores. Received delivery on the day scheduled. Fire works and looks lovly very warming. Would recommend to family and friends. 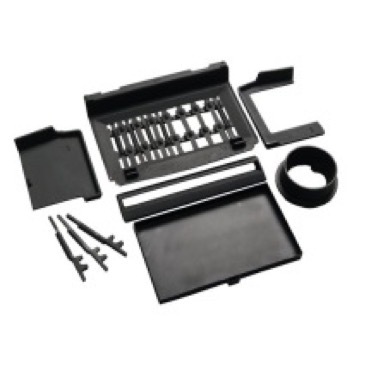 Very nice product, very good price or the item, and speedy delivery! Delivered promptly, looks amazing, great price and efficient. I needed a new electric fire looked at a few others but chose this to match the colour scheme in my room. It’s made of plastic which when I opened it up I was quite disappointed at but once in place it looks great and when the lights on it makes a very cosy effect, on the whole it’s a good buy for the price. the fire looks great. and the service was very good. After much research on the Internet to find a suitable electric fire with light display we chose the dimplex Zamora which looked impressive and fitted the measurements required to replace the living flame gas fire we were replacing. Once we had chosen it we looked to get it for the best price which happened to be from gr8 fires. We placed the order and received the fire well packaged and in good condition in good time. We are very pleased with our purchase and would recommend gr8 fires for others to get good value. Arrived on time and almost £40 under other quotes, thank you gr8fires. Just position, plug in, add stones and switch on. The 3 D effect gives a sense of depth to the fire. 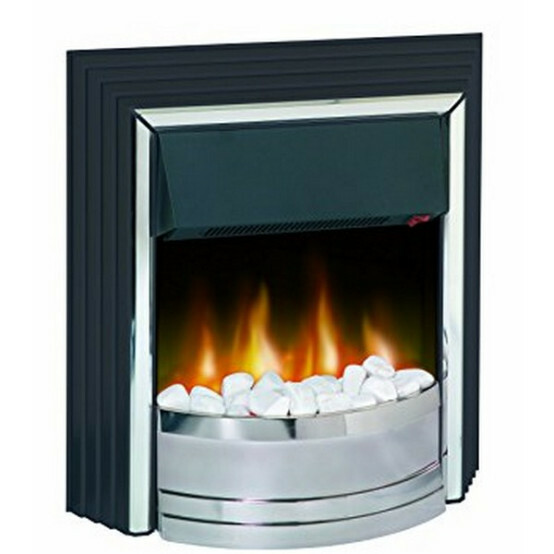 Great product, comment for Dimplex it really needed just a couple of additional white stones but still 5*. Love the fire. It looks great and has been much admired. Delivery was very quick and it was easy to set it up. I used the coals but in the summer I will change to the pebbles. We were delighted with this purchase. Great quality fire and the service from the company was first class. They handled a minor issue we had really positively and quickly and we were really impressed. Highly recommended. very pleased with new fire looks great and a good price.Good delivery as well only in about 4 days. Love my new fire. It looks great. Easy ordering system, and first class tracking system on day of delivery. Very polite young man at point of delivery. All in all a super firm to deal with. Thank you for your excellent service. Purchased the Zamora fire from gr8fires,the price was a lot cheaper than other company's I looked at ,lovely fire really pleased with my purchase gives a lovely Cosey feel to the room,really quiet,delivery was spot on,well done gr8. Excellent buy , great price, looks great. GR8 fire. Very happy with this fire, it fits into my surround perfectly. The quality is much better than I thought it would be for the price, the flame effect is lovely and makes the room look very cosy. I can not fault the delivery service, for once everything was perfect from the fire to the delivery, I wouldn't hesitate from using this company again and would defiantly recommend. Great service, good price, prompt delivery. Very pleased and impressed. Cannot fault this company or product. Delivered within a couple of days and fixed and in place the next. 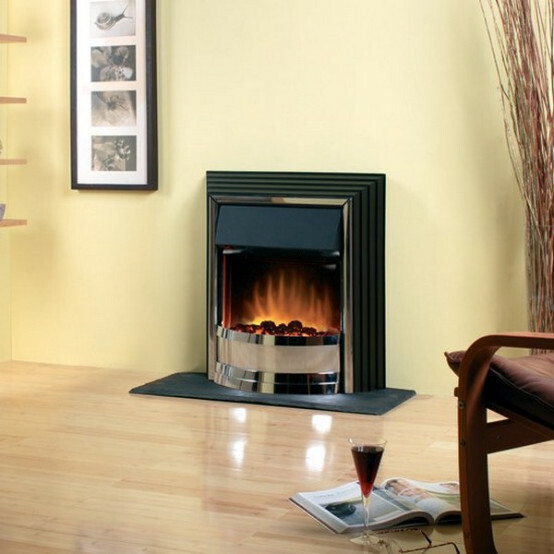 We love this fire its modern but still maintains the traditional cosy fire feel. The service from Gr8fires is great best price we could find and super fast delivery role on winter evenings! I am so pleased with my new fire the fan is very quiet when use one just the glow , I have had several which make such a noise that I had to turn off but this one is really great. Delivery was first class came within three days of ordering, and the price is excellent couldn't ask for more. Stylish design. The flame effect is excellent and looks real. I would recommend this to anyone thinking of buying it. I am over the moon with this fire it meets all my requirements. Good value ,arrived when expected. I am very happy with my new Dimplex fire. The style and quality is very good and the price was even better. I can honestly say this was the easiest and quickest service I have ever had, I was really impressed. I love the fire, it is exactly what I wanted and looks very stylish. I would recommend this company for the ease of ordering and the quick delivery, well done and thank you. Exactly what we expected. Has a very good quality look about it. We ordered this fire as a replacement for one my mother-in-law had. She uses it mostly for the flame effect to give the room a warm atmosphere. ~We have used the coals - maybe the pebbles will make an appearance in the Summer! She is very pleased with it and everyone that visits comments on what a nice looking fire it is. Very good fire at a very good price. The flame effect is excellent. I would recommend it. Only minor problem is the fan noise but this is to be expected with an electric fire..
We took delivery of the Zamora Freestanding Electric Fire after deciding to replace our old gas fire. We were extremely pleased with the service we got from the Gr8 Fires Team. Quick delivery, excellent sales advice from personnel who were well informed about the product and the availability. 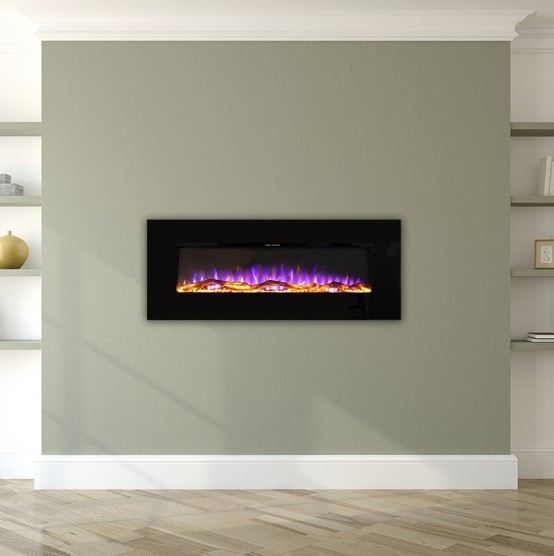 The fire looks lovely and cozy with the optic flame effect and we would thoroughly recommend this product. Brilliant fire, arrived within 2 days of ordering it and it comes with the coals and pebbles. We're using the coals now and going to use the pebbles in the spring/summer. The flame effect is lovely, my husband wasn't too sure about it when he saw it on line but loves it now. The fan is quiet and the heat output is sooo warm with just the 1KW setting. We have a very long lounge and the radiator at the far end of the room struggles to get an even room temp. This fire has solved the problem and we don't have to have it on constantly to get the room cosy. A great looking fire at a great price. Thanks. Gr8 Fires: Sorry you expected the hearth to be included. We made no suggestion that the hearth was included. 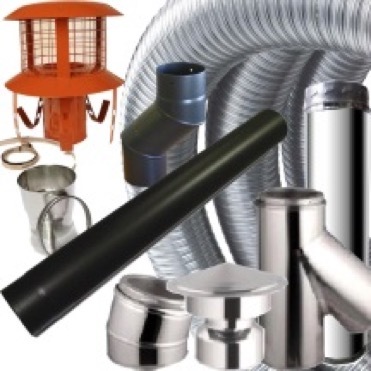 If you are unsure about any of our products just ask we will be happy to help. This is a free standing fire and suitable for use as shown on a hearth or on a fireplace. We take every care to represent our products accurately and although we used the manufacturers description and photograph originally we have now added a note to say the hearth is not included.